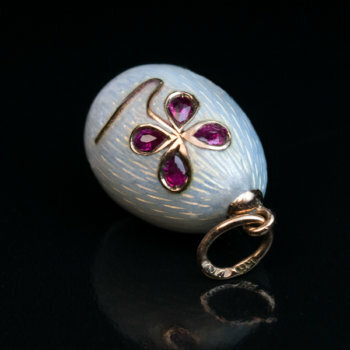 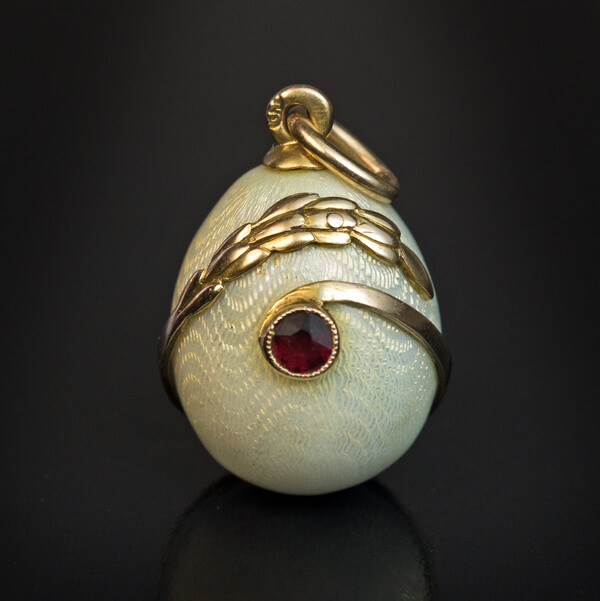 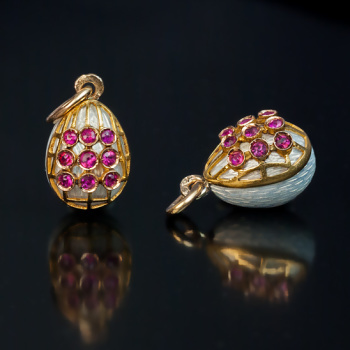 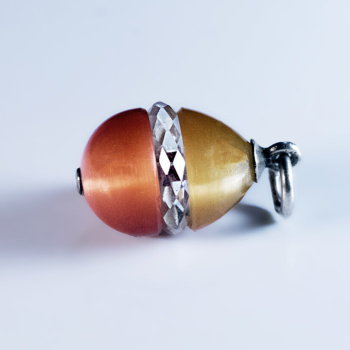 The egg is decorated with a gold Art Nouveau style scroll embellished with a bezel-set ruby. 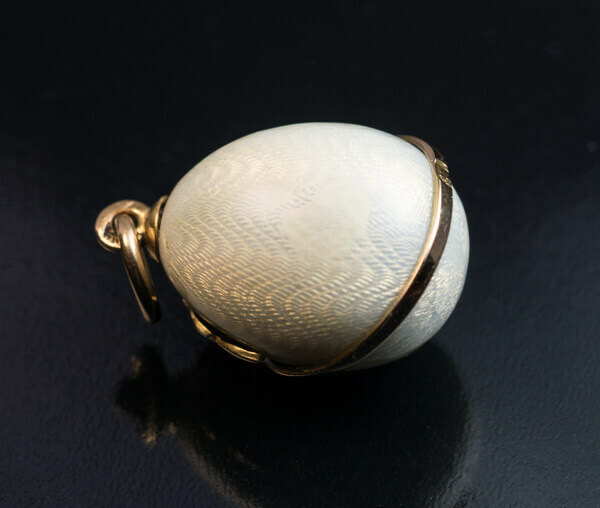 The ground of the egg is engine-turned with a moiré pattern and covered with a very fine translucent white enamel with a golden hue. 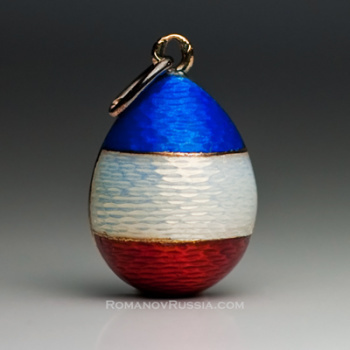 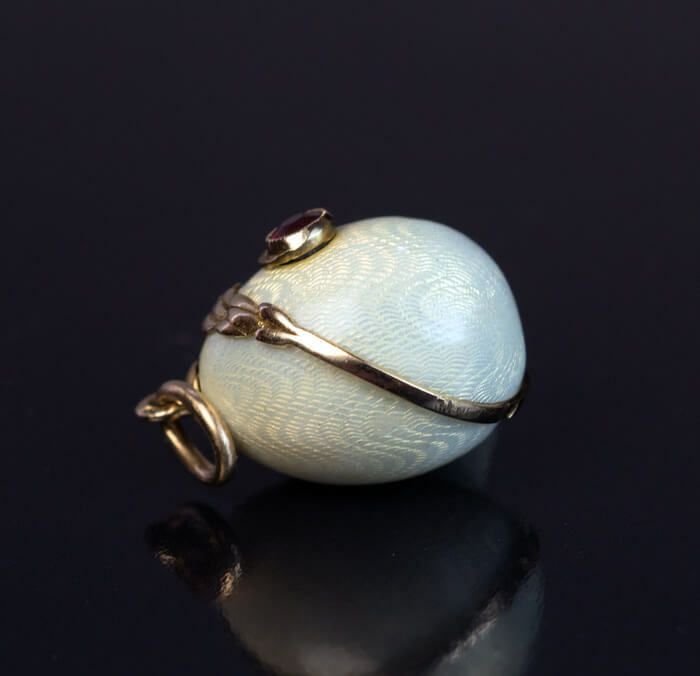 This egg is approximately 20% bigger than regular size antique Russian egg pendants. 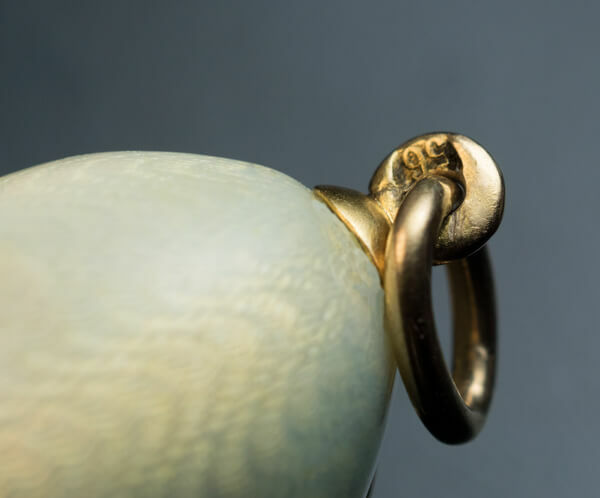 Marked with 56 zolotnik Imperial gold standard (14K) and maker’s initials. 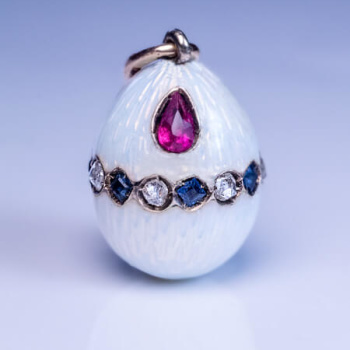 Condition: minor restoration to enamel on the back.